Football: Manchester United in talks to extend the contract of the player Jose Mourinho doesn’t want at the club! Initially Anthony Martial was a phenomenon after he joined the Red-devils. He scored in his very first match for the Premier League giants showing his abilities and justifying his whooping transfer fee of $46.8 million which was the highest ever transfer fees paid for such a young footballer in 2015. He also boasts of being the Golden Boy Winner award in 2015 ie The best U21 player in Europe. But recently, Mourinho’s tactics and team management has led Martial to the bench with fewer appearances. The 22-year-old Frenchman has already spoken about leaving the club and earlier this summer his agent also claimed that the lad wants to move on to some other club solely because of lack of playing opportunities. Spurs even made an enquiry about Martial’s status to the club as Mourinho was willing to make a deal and then look to sign Inter Milan’s World Cup sensation, Ivan Perisic and Chelsea’s Willian as replacements. 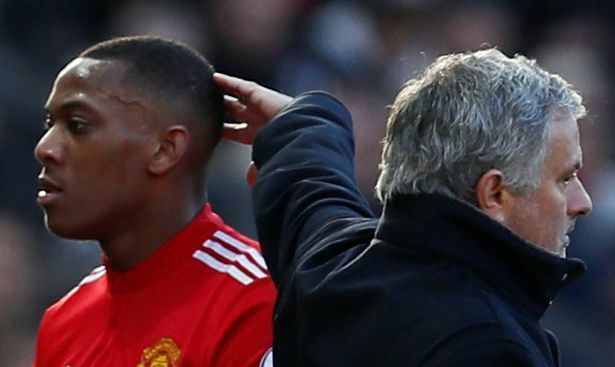 Though the young boy who had a great time playing at Lyon and AS Monaco has had ups and downs in the recent time, United’s executive vice-chairman Ed Woodward believes that Mourinho can get better out of him and has blocked Anthony’s exit from the club. It has been understood that United wants to extend the contract with the winger. Martial appeared only once this season against Brighton on 19th August. United lost by a scoreline of 3-2 and Anthony was replaced after an hour. Next articlePhotos: The Erica Rae Hosseini Story.